An Interdisciplinary Life: What's in a Name? Everything. 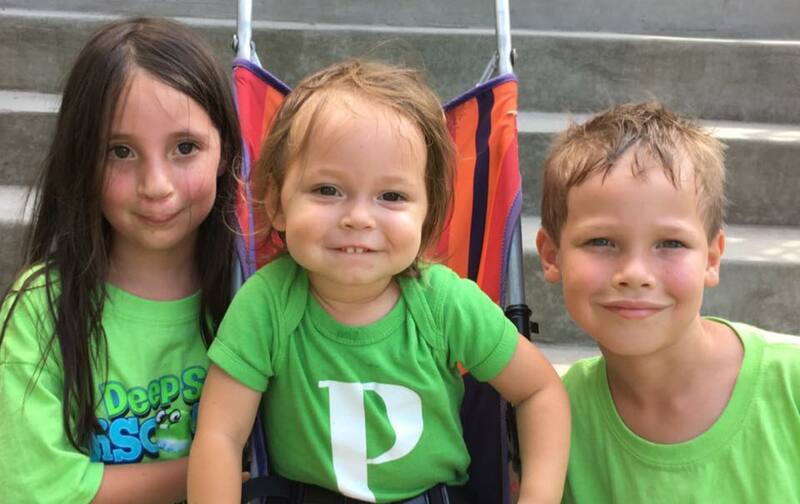 I just got back from the Dad 2.0 Summit, a conference for dad bloggers. Like last year I met a bunch of great people, networked with other dads/writers, met with brands, and tried to sell myself as a freelancer. The conference covered everything from the touchy-feely discussions on involved fatherhood, to the technical aspects of influencer marketing and podcasting. There were keynotes and breakouts on topics ranging from managing blended families, to how to pitch to brands. There was a panel on implicit bias that affected me in ways I'm still trying to process. But of all the insights I came away with, the one that stuck is this: no one knows how to pronounce anyone's name. Sure, there's the easy ones like Brian Craig, but this is a conference populated by bloggers, people we know almost exclusively online. So when you bump into Aaron Gouveia or Michael Moebes it can be a little awkward trying to introduce them to people. Then there's the names you feel like people should get. For example, people calling the very funny Dave Lesser, "Lester" all weekend had me in stitches. Then there's me, I always get called "Robert." That's not my name. It's especially funny to me because when I'm at a conference I'm generally wearing a name tag. It doesn't matter. I've always been particular about my name. I've never liked being called Robert. Part of it is that it's a slippery slope. People get comfortable calling you Robert, and the pretty soon you're Bob. Then Bobby. Then Bobbo. The other thing I've always disliked about being called "Robert" is that it robs me of part of my identity. Not just the part that wants to be called by his proper name. It robs me of my identity as a Latino man. It improperly Anglicizes me in a world where I don't believe I will ever be fully accepted by Los Anglos. It's weird to think that so much of who I am is wrapped up in that one little letter 'o'. But it's there. All of it. That 'o' represents who I am. It represents my family. It represents coming from a heritage that is simultaneously overlooked, and misrepresented. Puerto Rico was won for the US in the Spanish-American War. Its people are natural born US citizens, but have no representation and no electoral college vote. Most mainland Americans don't understand Puerto Rico's status. This include people like me, who grew up as Boricua in California. I know way more about Chicano history than I do about my own people. So when folks have yelled at me to go back to my own country, it's kind of a complicated response. The one constant is that I have always been the "other." 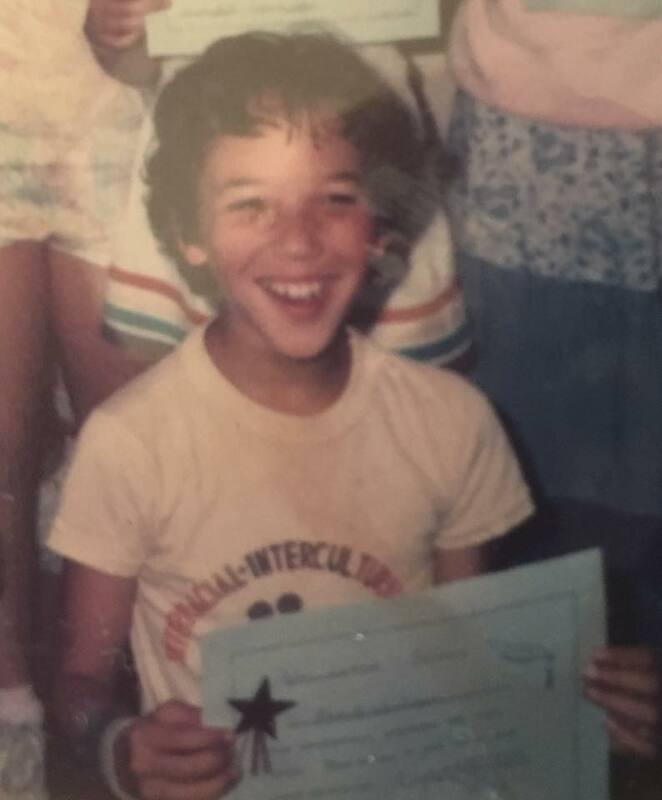 I'm too brown to be accepted by mainstream white society, but not brown enough to have been accepted in my predominantly Black and Chicano Oakland schools. It was weird going from being bullied for being a "white boy" in 5th and 6th grade, to being considered too "ghetto" at the private school I attended in 7th. And that doesn't even touch on the systemic and institutional racism endured in a variety of California public schools, racism I was only vaguely aware of as a child, but that stung my mother more than I understood until decades later. All of that, the colonial history, the personal history, having West Side Story as my favorite movie, album, and play as a kid, all of it is wrapped up in that little 'o.' So it kills me to be lumped into a homogeny I've never been accepted in by being called something as common as "Robert." Well, sort of. The biological fact of the matter is that I'm one-quarter Japanese and one-quarter-mostly-White. 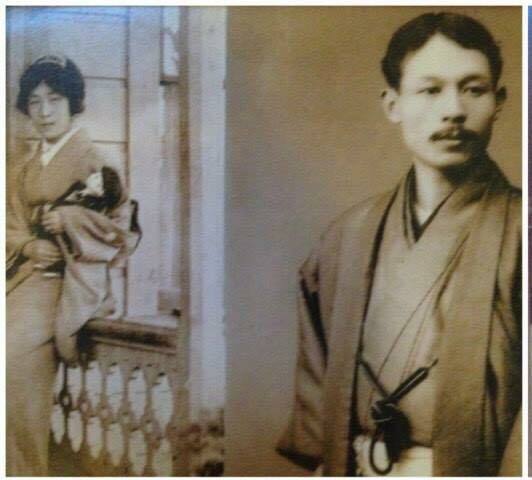 The thing is, my Japanese grandma Yo was grandpa Kelly's 3rd wife, out of 8. By the time I was born he wasn't much of a factor in our family's lives. I don't know any of the white people I'm related to by blood. I hung out with my cousin George a few times in high school, but rumor is he later moved to Germany and joined a neo-Nazi group. So yeah. Culturally, I'm half Japanese. I also carry the psychological and emotional burden that many Sansei and Yonsei people carry, of having had family in internment camps, but also having them hesitant to talk about those times. It's a weird experience to grow up with people who lived through an important time in American history, but to have to learn about it at school because they don't talk about it much. The dozen or so times my grandmother opened up about life in the camps is considered downright candid by the standards of many Nisei led families. My grandmother got out of the camps by enrolling at the University of Utah. One of my great uncles was already enlisted on December 7th, 1941. Another joined the 442nd all Japanese American regiment soon afterward. I can't type the numbers 4-4-2 without tearing up. The rest of my family rode out the war years in the Arizona desert, all except my great grandfather. He died before the war, and the story my grandmother tells is that it's better he did. She claimed being put in the camps would have killed him. At this point it's hard for me to separate fact from legend when it comes to my great grandfather. There are books and secondary sources available, my family is, or was, well known in Japanese American circles (there are books by them, and about them, which is also a weird thing to grow up with) but I think I've avoided them in part because I am so in love with the legend. I grew up with the tale that my great grandfather was a samurai, who was disenfranchised with the end of feudalism in Japan. Because he was not the first born son he stood to inherit nothing, so he came to America. Over the years he worked as a bicycle repairman, and helped to organize farm workers in California, like an under the radar Japanese Cesar Chavez. One story I've never verified is that he refused to touch money because it was beneath him. The point is that he was proud. He was regal. He could not, would not, have borne the indignity of being imprisoned under false pretense. He was warrior. That history, as convoluted and embellished as it might be was central to my identity as a young person. out what his name means, and they were teasingly calling him by the English translation of his Japanese name. (I'm sorry, it might be frustrating that I'm being circumspect, but I'm trying to protect the kids from future Google searches.) The translation isn't a bad thing. It's something that was always a point of pride for me, but he didn't like the tone. He wanted to go by Michael. I was crushed, but I tried to hide it. "OK, Buddy." I said. "I will call you whatever you prefer. And I'll tell your teachers to respect your choice. But I want you to know that your name carries meaning, it was chosen with purpose. Sleep on it. You don't have to decide tonight, but when you do decide, I'll be with you 100%." The cast of "Naruto: The Next Generation"
Fast forward a couple weeks and I'm taking a day to unpack and organize boxes from our recent move. While I work I'm watching American Pastime. As is often the case, I can't tell if this is a good movie, or if I just like it because it's in my wheel house. The film is a saccharine-sweet story about the internment experience of a Japanese American family. It's also about baseball. As I'm watching and unpacking, Buddy wanders in and out of the room. He eventually settles in and watches the last half with me. It's only an hour and forty-five minutes long, but it takes us near double that to get through because we keep pausing to discuss what's happening and to answer Buddy's questions. Even though we've been to museum exhibits about internment, and talked about it together he's still a little confused about why the JA characters are being treated so poorly. So we talk about racism and fear and xenophobia. We also talk about his ancestors and the No-No Boys and the 442. We talk about what's happening now, and how Japanese Americans see the markers of history repeating itself. The ending of the movie is predictable. I don't care, I cry anyway. The crying surprises Buddy. He's not used to it, which is funny because I feel like I cry a lot. Maybe it's that I tend to do it alone, keeping a brave and stoic face in front of the kids as my Japanese heritage supposedly instructs. Whatever the reason, he tries to console me. "Hey dad, it's OK. Do you want to sit down big guy?" That's right, my seven-year-old just dropped a "big guy" on me. I assure him I'm OK, and I hold him close. He persists, "I not used to seeing you like this, dad." "I know Bud." I tell him. "It's just that, this, all of this. This is why your name is so important. This is what your name means to me, and what I hope it can mean for you too. Your name carries all of this with it. It's the immigration story, the Asiatic Barred Zone and internment. It's the Navy stealing your grandmother's house, and denying it for fifty years. It's the 442 and the Lost Battalion. It's the 1965 Immigration Act, when Japanese immigrants were finally able to become citizens. It's Grandma Yo living in a converted funeral home and sleeping on the lawn at University of Utah during the war. It's having everything taken away, and building up a family legacy of artists and writers and academics. Your family overcame a lot, and you are a part of that. That's why your name is so important." I felt guilty laying that on him. "But look, Bud. If you want to go by your middle name, that's OK too." I added. Of course by that time the damage, or inspiration, was done. "No dad. I get it now. I want to keep my name." I still feel guilty. As much as I want him to understand and internalize his Japanese heritage, I don't want to emotionally brow beat him into it. I don't know if he'll ever feel accepted by his peers, but at least I know he's in good company among the men whose names no one knows how to pronounce. Great-Grandfather, Me, Buddy. We all share the same name.